The grand tour of French wines comes to an end this week. We finish our journey in Provence and Corsica. Provence is France’s oldest winemaking region and the only one in the world to focus primarily on the production of rosé. It’s nine AOC appellations are quite varied and many have very distinct focuses. For example, Les Baux de Provence is a stronghold of organic and biodynamic viticulture in Provence and also produces a large percentage of red wine (64%). Palette is the smallest appellation of Provence and is historically known for producing Vin Cult, a local wine specialty served to family and friends on Christmas Eve with a lavish meal featuring 13 different desserts. Cassis is the only appellation in Provence to produce a majority of white wine (70%) and where the primary grape is Marsanne. Bandol is one of the oldest vine-growing regions in Provence and Mourvedre has emerged as the cornerstone grape. 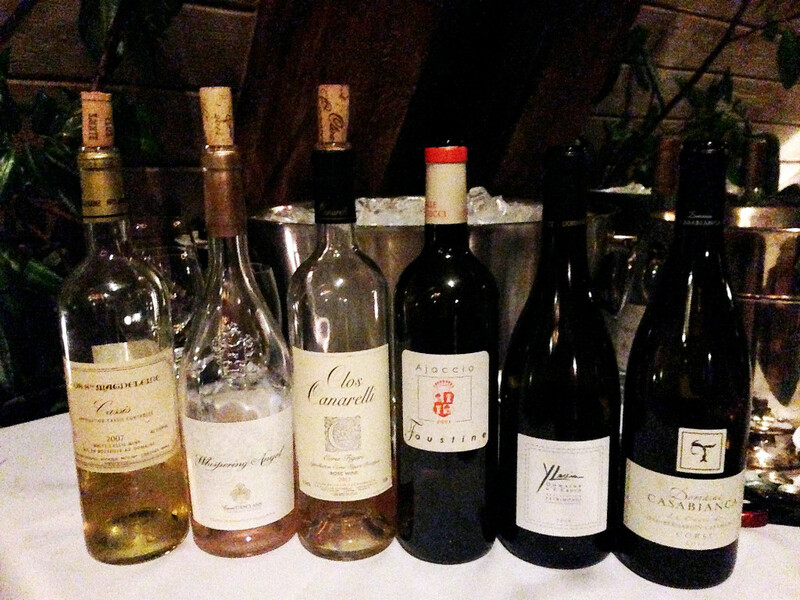 Bandol reds are very age-worthy and the AOC mandates oak aging. Bellet is the only AOC in Provence to permit the use of Chardonnay. Classic food pairings hailing from the Provence region include bouillabaisse, salade Nicoise, ratatouille and tapenade. Throughout time, the island of Corsica has been ruled by six different nations and each have influenced the location we know today. In fact, many of the region’s winemaking traditions and grapes are Italian due to the island’s closer proximity to Italy. Corsica is best known for its red wine although 1/3 of the grapes planted on the island are white. The grapes are farmed around nearly the entire coastline with few in the inland. It’s most famous native son is French Emperor Napoleon Bonaparte who was born into a Corsican winemaking family in Ajaccio in 1769. Wild boar is Corsica’s most celebrated dish as thousands of free-roaming pigs graze the island for acorns, chestnuts and wild berries. Corsican pork products are often cured in smoke from chestnut wood and herbs and are popular on charcuterie boards. Many desserts of the island also include chestnuts including chestnut flour beignets. 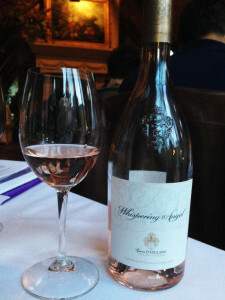 Whites and roses from Provence are meant to be enjoyed immediately while reds can age 5-7 years or longer. 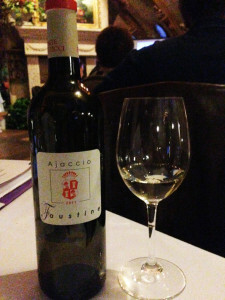 White wines in the Patrimonio AOC must be 100% Vermentino. And now for the tasting! Clos Ste. Magdeleine Cassis 2007: All of the vineyards on the estate are farmed organically and are in the process of converting to biodynamic. The 40% Marsanne, 30% Ugni Blanc, 25% Clairette and 5% Bourboulenc age for 14-18 months in stainless steel. 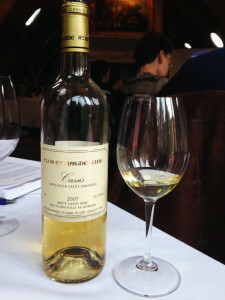 Aromas of toast, mineral, pepper, honey and a slight almond bitterness are characteristic. Most of this wine is consumed locally and rarely exported but it is currently available through DABC for $34.74. Caves D’Esclans Whispering Angel Côtes de Provence Rosé 2014: This wine is named after the Whispering Angel chapel and its two cherubs. Notes of raspberry and strawberry make this a delicious appetizer wine—pairing well with shellfish, prawn cocktail, poke ahi and even duck. This wine is available in Utah for $19.99. 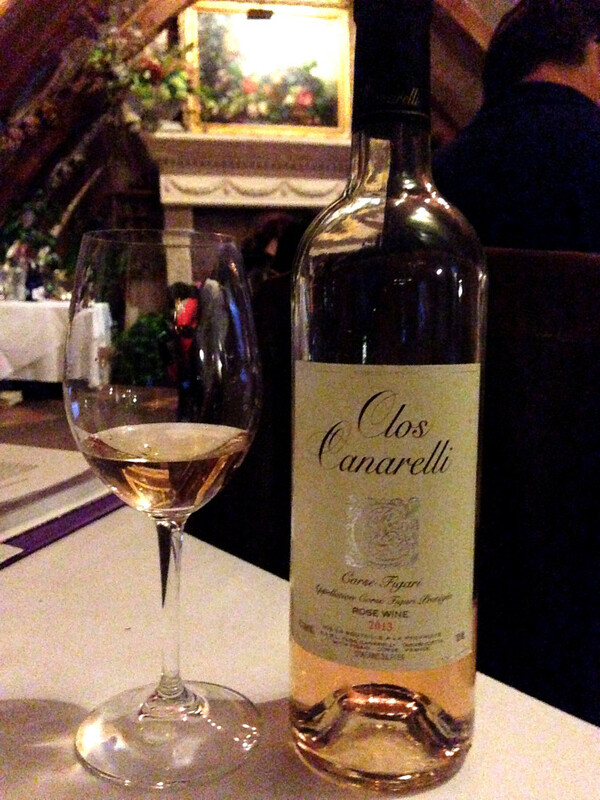 Clos Canarelli Corse Figari Rosé 2013: This is considered to be not only the best rosé from Corsica but one of the best in all of France! These vines are farmed completely organically and biodynamically. The rose is 50% Sciaccarellu, 30% Niellucciu and 20% Grenache for a nutty, pie cherry nose. Comte Abbatucci Cuvée Faustine Ajaccio Blanc 2011: This vineyard has been certified biodynamic since 2000. Domaine owner Jean-Charles is known to drive his tractor out into the vineyards and play Corsican folksongs over loudspeakers for the benefit of his 40 year old vines. This wine is 100% Vermentino with a nose of white flowers and anise. It pairs well with fish, shellfish or Corsican cheeses. 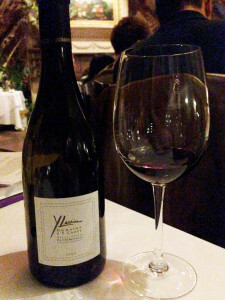 Domaine Yves Leccia d’E Croce Patrimonio 2009: Yves Leccia wines have been referred to as the “Rolls-Royce” of Corsican wines. 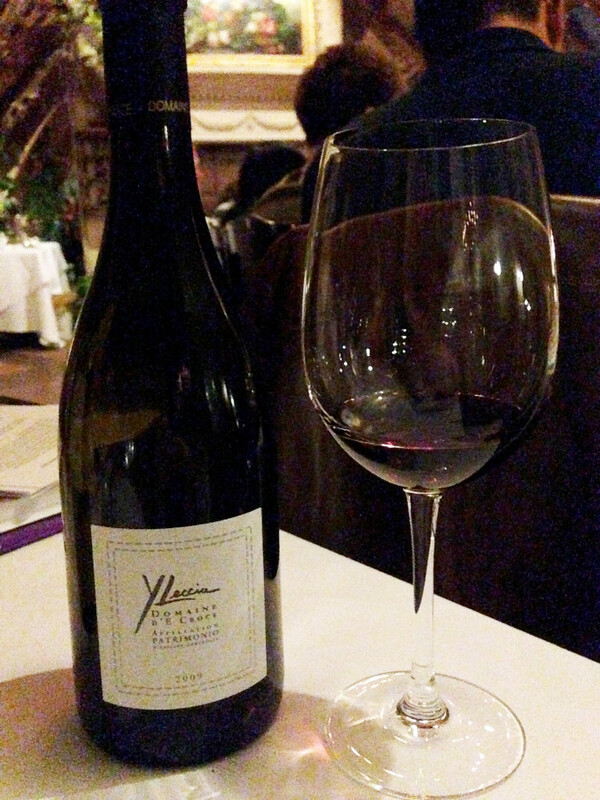 Yves is adamant about not using any oak in his cellars. Aromas of dark cherry and cinnamon are the result of 90% Niellucciu and 10% Grenache grapes from vines averaging 20-40 years of age. 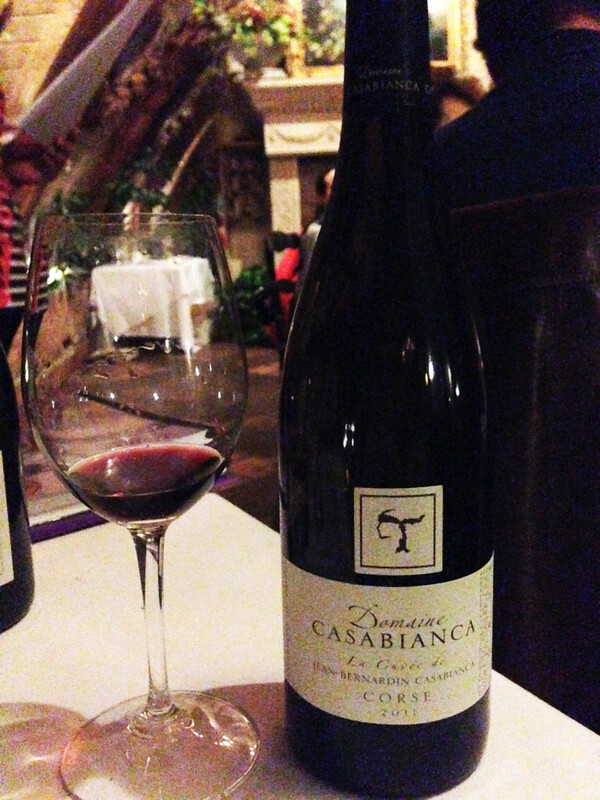 Domaine Casabianca Curvée Rouge 2011: A blend of 60% Niellucciu, 30% Syrah and 10% Sciaccarellu offers up aromas of spice, black fruit, prunes and black cherry. It pairs perfectly with lamb or duck. Read the full series of articles for the Wasatch Academy of Wine’s French Wine Scholar program.